If you want to avoid the crowd at San Diego’s most popular breakfast and lunch spots on a week day, head to Sorrento Valley and visit the Lunch Bunch Cafe! From it’s popular breakfast items to it’s delicious dessert items, this cafe has everything to satisfy your cravings. For breakfast, grab one of their breakfast sandwiches, burritos, or sweet pastries. For lunch, try the daily special or pick one of their regular sandwich, paninis, or salads! Whether you want a Greek Salad, Pot Roast Sandwich, or Italian Chicken Panini, you’ll find it at The Lunch Bunch Cafe. They even serve homemade soup! The Lunch Bunch Cafe is open Monday through Friday from 8:30-3pm, with breakfast served until 11am. 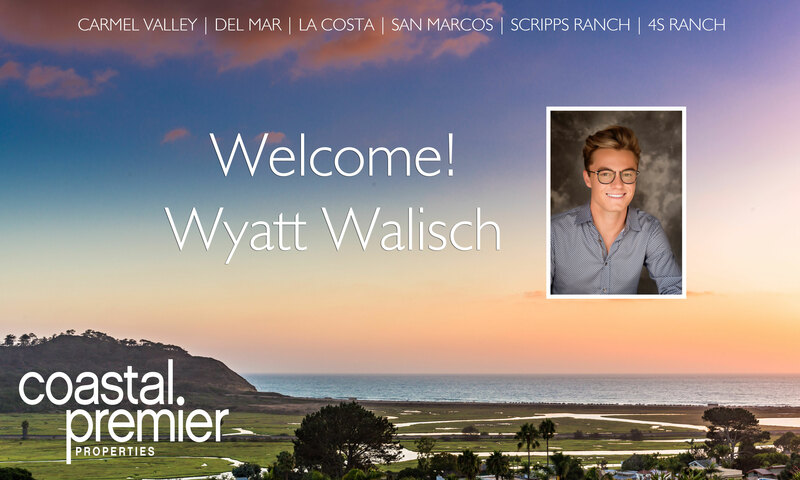 Coastal Premier Properties is pleased to welcome Wyatt Walisch! Wyatt will be working out of our Carmel Valley and Del Mar offices. I was born in San Diego and have lived here my whole life; I love this city and I am dedicated to helping my clients find their next home or move on when it’s time to sell. Real estate to me is personal; I have a deep appreciation for both the emotional and financial needs of my customers. I am always happy to chat and be helpful without pressure. You can often find me at Starbucks on 5th and Laurel or at the dog park with my Golden Retriever. Click here to contact Wyatt. For more about Coastal Premier Properties, visit our website!